At Tamarind Global, we offer comprehensive services for leisure and corporate travel as well as completely customized travel packages. We understand every whim of the inveterate history buff and every fetish of the critical gourmand. We indulge the fancies of the most avid traveller, and satisfy the curiosity of the most inquiring mind. Our in-depth expertise of the Indian sub-continent helps us to tailor make travel packages that are customized to individual requirements. 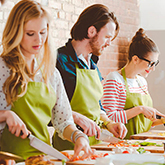 We also cater for specialized itineraries, like culinary, cultural, spiritual, holistic, Ayurveda and wellness holidays. 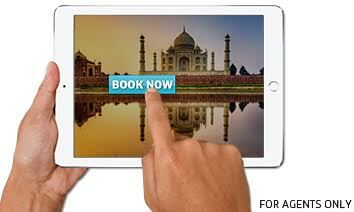 Our online booking system assists you to get instant confirmations at competitive prices. Champagne, roses and a cosy dinner for two! 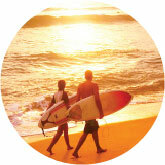 Whether it’s a honeymoon or just some special twosome time, it needs to be romanced unforgettable. When you want to make those last-for-a-lifetime memories, call us for the perfect dream getaway. Rejuvenation packages, spa holidays, yoga and auyrvedic retreats or just some plain old body and soul pampering... we will tailor the perfect wellness holiday for you in some of the finest destinations India has to offer. Need a quick weekend away? There’s plenty of creative choices in nearby destinations wherever you are. Two to four night getaways can include hill stations, beaches, spas, luxury hotels, wildlife retreats and much more... come talk to us! You can learn the nuances of cooking a perfect curry with Taste of Tamarind and practice your cricket at our Dilip Vengsarkar coaching camps. You can play golf at some of the best courses in the country, trek the Himalayas, or even meditate peacefully on the banks of the Ganges. Our dream is to expose you... to an India we know and love! Experience the classic must sees that all India first timers simply have to cover. From the inimitable Golden Triangle to the idyllic Kerala backwaters, it's the best of India on a platter. 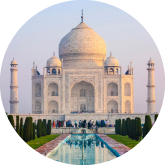 India has its abundance of must-sees which capture the rich splendor, heritage and culture of the subcontinent and must be a part of every bucket list. Having said that it also has myriad lesser known destinations that provide a unique and rare experience for the more unconventional traveler. From the pristine snow covered slopes in Auli and the peaceful and remote beaches of Gokarna to the alluring landscapes of the Sundarbans and the warm hospitality in Kasol there’s no dearth of offbeat destinations in India. 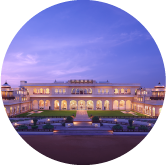 See India through the prism of bespoke luxury! Live like maharaja in old princely palaces converted to hotels, experience the royal trains speeding across the country, take off in a private jet, try out your game on the best golf courses or simply indulge yourself with exotic therapies in deluxe spas… enjoy all this and more with unprecedented levels of service and luxury. 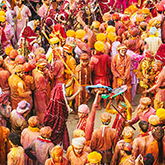 Colour, light, devotion and unbelievable energy are an intrinsic part of India’s myriad fairs and festivals. Every state celebrates their regional festivals with fervor and enthusiasm and the sights and sounds are worth seeing. The Pushkar and Gangaur Fairs in Rajasthan, Ganesh festivities in Mumbai and the famous snake boat races in Kerala are among the more popular. A hop and skip from India or Nepal, Bhutan and Srilanka, very much a part of the Indian Subcontinent. 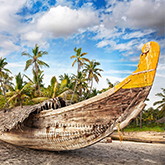 Culture, tradition, beaches, wildlife, spirituality are seen at their vibrant best in the Indian subcontinent, and these destinations are very easily accessible from India. Amidst the beautiful valleys and soaring mountains, crystal glaciers and roaring rapids, clear blue waters and the fascinating wildlife trails, India has much to offer the adventure aficionado. From rafting on the remote Zanskar river to exhilarating treks in the north. 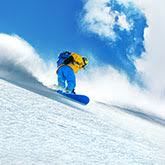 From unparalleled mountaineering in the Himalayas to skiing on the pristine slopes of Gulmarg. From paragliding over the Dauladhar Ranges to exploring the stunning bike trails in Sikkim. And from scuba diving in the unbelievably blue waters of Lakshadweep to spotting the elusive and majestic Royal Bengal tiger in Madhya Pradesh. What more can one ask for?